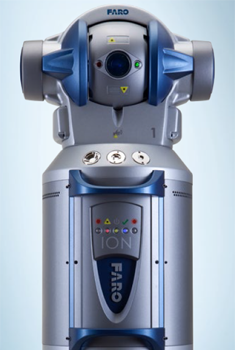 The FARO® Ion 3D Laser Inspection Tracker. Precision. And then some. From in-line distance measurement to 3D "space" measurements, Leading Edge Aerospace combines our 20+ years of precision tooling experience with FARO’s High-Precision IFM-Based Laser Tracker. • Higher accuracy and more dependable results, even at long range and on large objects. • Quicker, simpler and more precise measurements mean better performance and turnaround. Just call Ben Johnson at 316-942-1301 or, email him. We’re ready for inspection!